180g audiophile black double vinyl with etched D side. Produced by John Zorn, Mr. Bungle is the eponymous debut studio album album by American band Mr. Bungle, released in 1991. 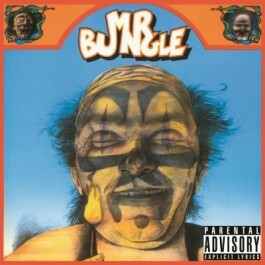 Incredibly, the original vinyl version of Mr. Bungle was pressed on a single LP, which – with an album duration of 75 minutes – had a rather dull dynamic sound as a result. For the Music On Vinyl version, we've added another LP side to give the music more space to breathe. To top it off, it boasts a unique etch on the D-side!